Note: Windbeutel is a Pomeranian that Bernd got for his 32nd birthday as he wanted a dog. Never mind the fact that he, Amber and their son Fritz have a Entlebucher Mountain Dog named Deeohgee and Amber’s girlfriend Mishka has a corgi named Sammy, with both dogs being part of the household. 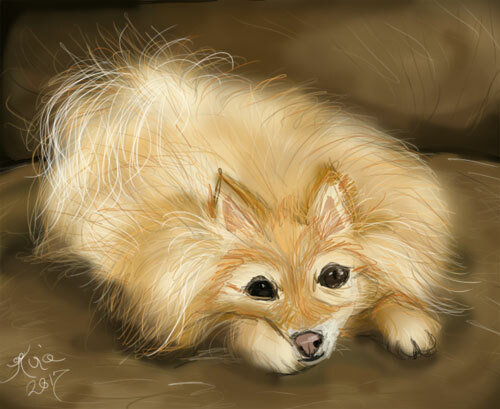 This was reffed off a pic of a cream colored Pomeranian I found on the ‘net.